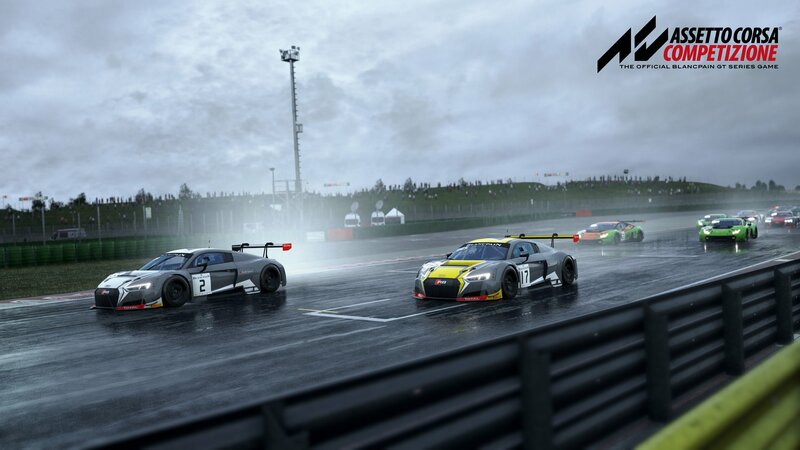 Discussion in 'Assetto Corsa Competizione' started by GTPNewsWire, Jul 17, 2018. 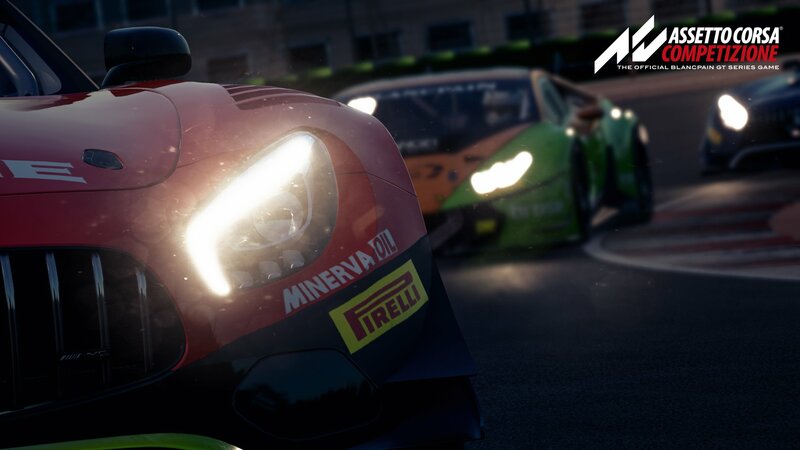 This article was published by Michael Leary (@Terronium-12) on July 17th, 2018 in the Assetto Corsa Competizione category. retrostate and K32 like this. I think this game will be launched in the next console generation. It looks too great for this one. The developers already said they aren't planning a console version at this time didn't they? The graphics for this game appears to be a mix between Forza (in the rain) and Project CARS (in the dry). Honestly, many of the racing sims with touring cars (apart from Gran Turismo SPORT) are starting to look too much like each other. For example Raceroom, rFactor (and the original Asseto Corsa to a lesser extent) are almost like identical brothers. Graphics look ok nothing out of the ordinary...to me GTS still looks the best. Yeah gt-s is still the best bling bling screenshot simulator. Nice packaging but nothing in it. Thats what the kevin´s like. Johnnypenso, BeetesJuice and CJT7777 like this. The game looks absolutely gorgeous! Bring it on! My benchmark is how Assetto Corsa looks now with everything maxed out, the cars look gorgeous, they have superb shaders, reflections, nice bodyroll etc. The game looked nothing like this when the very first demo (with the Lotus on Magione) dropped. Apparently work on ACC is still in full swing. When the full game releases early 2019 (i believe it's what they aim for) it will look so much better than what we have now, and to me it already looks ace. I strongly believe this just from my experience of following game developments for over 20 years by now. It's incredible how much can happen even within 6 months. I'm not interested in ACC for the eye candy, which is a first for me personally. I'm much more interested in the sim itself, the tracks, especially Zolder, the night and day transittion, physics engine, other engines ( ), rain and drying of the track and who knows what Kunos will come up with for ACC. AC sold 1.5 million largely due to console, so it makes sense ACC will port over eventually. It sounds like EA is coming quickly, perhaps by end of August with 1.0 launching next year. That's "quickly" for you? They said about EA "summer 2018", end of August is the last possible time frame, so for me it's more like "at long last" it's coming. Quickly enough as summer doesn't end until late September. I just don't want a rush to market, after all it was still pre-alpha only a month ago. Well, obviously if you put out for the public "summer 2018" you don't mean any sophisticated understanding of summer. For the normal person summer means june, july, august. *Note to myself; EA = early access, not Electronic Arts". MrCrynox and lancia delta hf like this. I tried playing Assetto Corsa when it first came out, but found it to be a. very difficult and b. only playable with a wheel. Which is a problem in a Family Home, as I'd need to wait until everybody else is either asleep or out !! If this is meant to be in the same vein, i.e. 100% full on Simulation dependant on a Steering Wheel...then however much I'd like to, I won't be buying it. it looks awful !! racing games are really mediocre . Game wasn't made with a gamepad in mind its a full sim....but i watched some Iracing with a controller and it looks decent maybe it's just AC gamepad support that is bad. I like the look of it, it has somewhat of a natural tone. Most of what I see looks fairly balanced thus far. Console porting of Assetto Corsa Competizione would be amazing. But I just don't see it happening. My opinion is that Assetto Corsa proved very troublesome and difficult for Kunos. The studio hasn't pulled any punches either, stating right away that there's no plans for a console version at this time. After updates and fixes Asseto Corsa evolved into an amazing driving experience, but it definitely took it's toll on Kuno's resources. I'm sure this next project will prove amazing as well - for P.C. owners, that is. Man, it cracks me up, it's literally all they have got left to hang on! ????? Who's ''they'' and what are they ''hanging on'' to????? Johnnypenso and th3o like this. His last 10 posts are negative, I wouldn't waste much time on this one. th3o and FPV MIC like this. And on topic: This game's looking pretty good so far. I don't mind the narrow focus if all aspects are going to be high quality, and going by their last game I have no reason to think it won't be (as long as online is vastly improved). I really hope they make a console port, even it's for the next gen. I think GT Sport really shines in low sun conditions on the PS4 Pro on an HDR TV. That HDR implementation is superb. Then you also dont necessarily see the lower resolution or the softer image (it's 1440p checkerboarded to 1800p). It looks really nice from a pure design standpoint. Forza 7 has crisper textures ans the native 4k but i feel that their lighting system is worse, the HDR does not look half as impressive and tracks tend to look blander than in GT Sport. Cars also look worse than in GT Sport. The default controls were pretty good on release ( if you're talking console ) then the update ruined it ( maybe you tried it after this update ), then they fixed it again. It's certainly not as accessible as other games but more than playable with a control if you put in a bit of time. Some cars are more difficult than others on the pad.